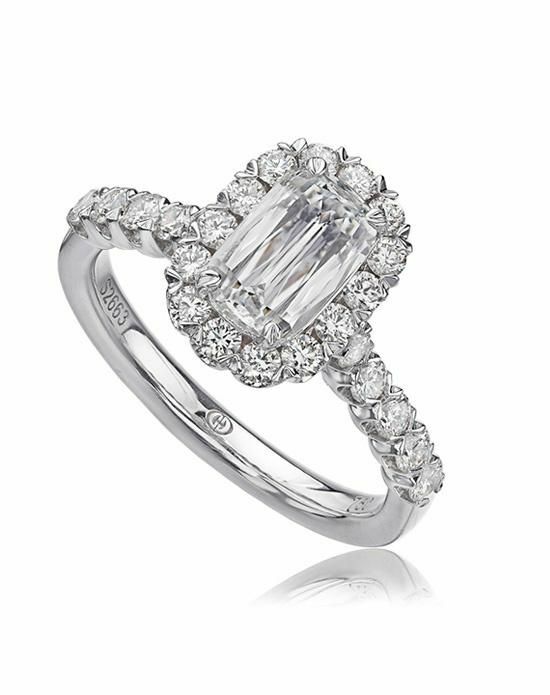 You’re familiar with emerald, cushion, and asscher cuts, but let us introduce the Crisscut diamond. The Crisscut diamond style is relatively new and sometimes difficult to find. Its unique cut and striking brilliance make them easy to identify. Unlike traditional cuts, the Crisscut gives the illusion of a larger, whiter, and brighter diamond. Sounds like the best of all worlds, right? Christopher Slowinski of New York based Christopher Designs revolutionized diamond cutting with his proprietary technique. Originally an engineering student, Slowinski began applying those same principals to diamond cutting. He studied light performance, reflection and refraction and fashioned a whole new style of cutting. Think of a diamond like an iceberg. What appears above surface level is only a tiny fraction of the entire iceberg. The above water portion of the iceberg is like the ‘girdle’ of a diamond. A diamond girdle is the widest part of the stone and separates the crown (top) from the pavilion (bottom). Much like the underwater portion of an iceberg, a large percentage of diamond weight is carried in the pavilion and isn’t visible in its setting. Slowinski found that by modifying diamond proportions and facets at exact angles and sizes, surface area increased which produces a brighter, whiter diamond. This also makes the diamond look 50% larger than other diamond cuts of the same weight. The side by side diagram via Christopher Designs displays the different cutting techniques in two similar styles. 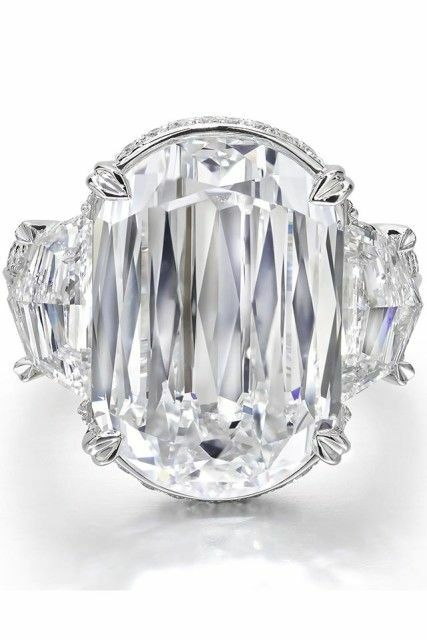 Christopher Designs unveiled the largest Crisscut diamond in 2016, branded the L’Amour (love), weighing in at just over 10 carats, but appearing much larger. The diamond took six months to create and was carved out of a 122-carat pure diamond stone. THAT’S a lot of bling. It’s reportedly worth a million dollars. In addition to the typical Crisscut horizontal style, the patented cut can also be found in asscher, cushion, and round diamond styles. No matter what style you choose, the Crisscut makes for a beautiful ring or jewelry option. The brilliant cut reflects light, making it more radiant and fiery than other styles. This not only increases the dazzle factor, but it masks inclusions as well. It’s a perfect choice for someone that’s into innovative, outside-of-box styles! 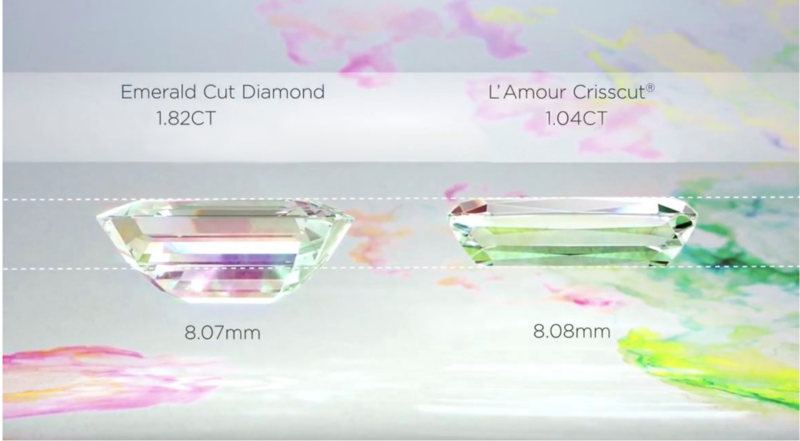 For some, the perception of increased size is enough to choose the Crisscut diamond over other cuts. Are you a fan of the traditional diamond cuts or are you looking for a unique style? We carry a vast selection of both in our inventory! Contact Sergio@jfjco.com to schedule an appointment and find the perfect diamond today.